Blackwater No. 5 is a classic London Dry Gin, distilled from the purest spirit, the finest botanicals and soft local water. It balances the confident juniper notes of a traditional London Dry with bright coriander, warm cinnamon and zesty lemon. Blackwater No. 5 is crisp and elegant, great as a G&T, excellent in a cocktail. We designed Blackwater No. 5 from top to bottom using only the botanicals imported into Ireland by White’s of Waterford during the 19th century. 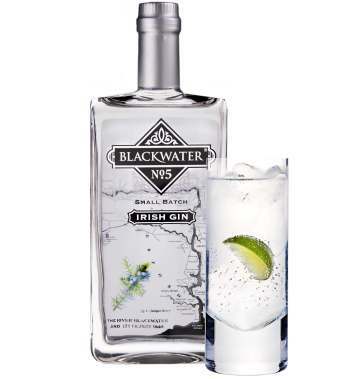 Of the twelve botanicals used, ten are classic while two are rather special and probably unique to Blackwater No.5 Gin. All are locally sourced where possible, or from wherever in the world the finest grade happens to be. 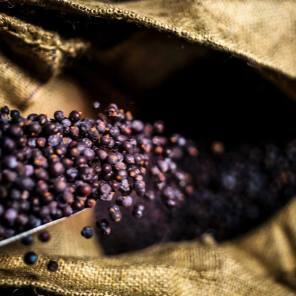 Juniper: This pungent berry is what gives gin its distinctive flavour. While juniper grows in the west of Ireland, ours comes from the Mediterranean where the hot summers and cold winters produce a spicier, cleaner taste. Bitter Orange: Those who like marmalade will be familiar with the Seville, or bitter orange. It has a thick oily skin and the sun dried peel gives our gin its zesty character. Lemon: We love the citrus bite of lemon; it helps make this classic gin so refreshing. Lemongrass: Like the high hat on a drum kit, lemongrass takes over where the citrus leaves off, hitting a high note that is both crisp and clean. Coriander: We use European coriander which is softer and fruitier than that used in Indian cuisine. Coriander gives our gin its warm citrus notes. Liquorice Root: This root has a curious bitter-sweet taste that lengthens the echoes of juniper and gives our gin a lovely long finish. Angelica Root: Our second root supports liquorice and helps give this gin shape. 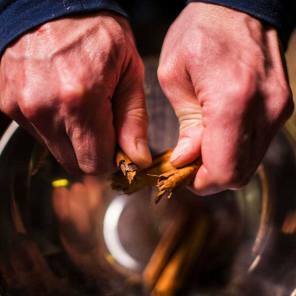 Cinnamon Quills: This well-known spice helps give our gin its warmth. We never use cinnamon powder; instead we opt for more expensive air-dried quills which are actually strips from the inner bark of the cinnamon tree. Myrtle Pepper: Due to its versatility, this spice was very popular in 19th century Ireland. Also known as allspice, they just pop with flavour and we love them! Bitter Almond: This brings a marzipan softness to bear on our gin, it works wonderfully as a foil to the bitter orange. Green Cardamom: A spice that needs careful handling, you’ll just feel a rumble of it at the back of your throat. Orris Root: By far and away this is the most expensive of all the botanicals we use. What’s more, it doesn’t taste of much, nothing more than a distant whiff of violets. 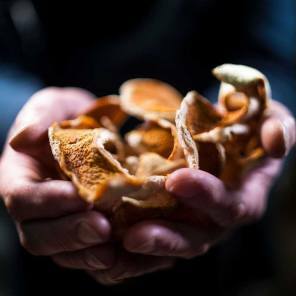 However, orris root is essential as it brings together all the flavours helping to produce a harmonious and wonderful gin.